Is Your Yard Slowly Slipping Away? Country Gardens Landscaping has been designing and installing retention walls in the Indianapolis area for around 20 years. We also offer services in Carmel, Westfield, Fishers, Zionsville and many other surrounding areas near Indianapolis. A retention wall is a design structure that holds back soil and prevents it from slipping or eroding away from a surface or building. 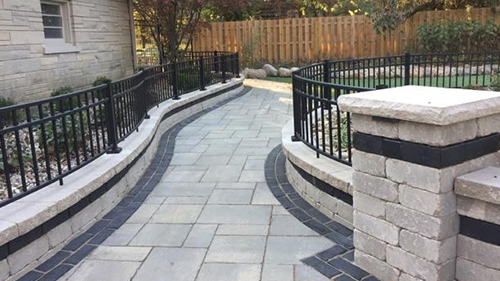 We have the knowledge and experience to install Indianapolis Retention Walls, that is best suited for your landscaping needs. Functional Support – Erosion may occur on your property, by adding a retention wall the ground can be leveled so that water from rain does not flow as quickly. Sink Holes – Prevents sink holes and areas from becoming dirt patches on your property. Prevents Flooding – Create a barrier and controls the water between the flooding and your property. Prevent Damage – Provides protection to your current landscape, plants, etc while mowing or even protects the area when a storm passes through. Retaining walls serves multiple functions on your Indianapolis property. Retention walls have been around for centuries and continue to be a common feature used on many properties throughout Indianapolis. If your property is on a slope or you notice erosion is taking place, it’s time to look into a retention wall. In landscaping, these walls serve as a soil retention. These walls will help prevent soil from eroding away from natural factors, such as heavy rain fall, gravity and uneven slopes in your yard. If your house is on a hill or has a slope, a properly built retention wall will prevent damage to your property. These walls will also assist in stabilizing the soil to the area where the wall is placed. Our Indianapolis Retention Walls can also give a pleasing look to your property. Not only can a retention wall provide safety and protect your property, they can also be added to enhance the beauty of your landscape. 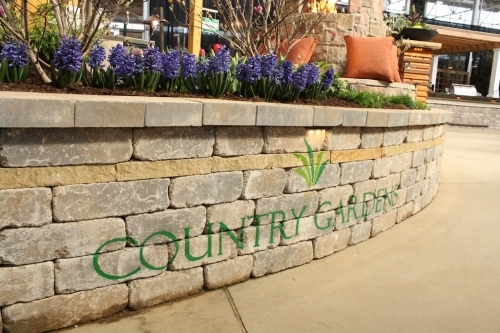 Retention walls add visual and textural interest to your yard or property. 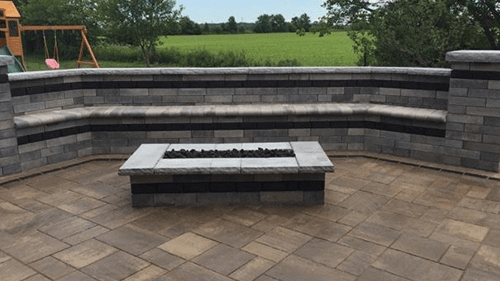 Whether you’re adding terraces or raised flower or plant beds, these walls will add a dramatic and appealing look to your landscape design. 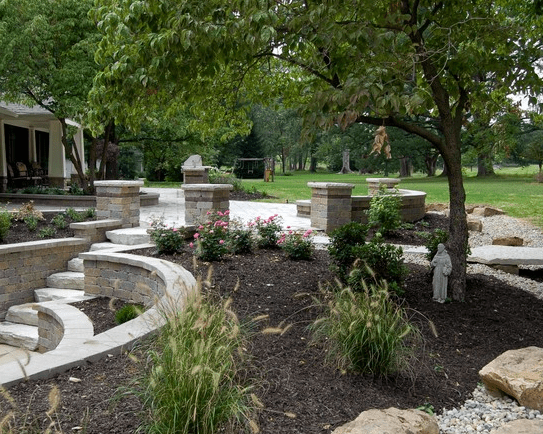 At Country Gardens, we will correlate with the other landscape design elements on your property. This will enhance the overall look of your property and add value to your home as well. 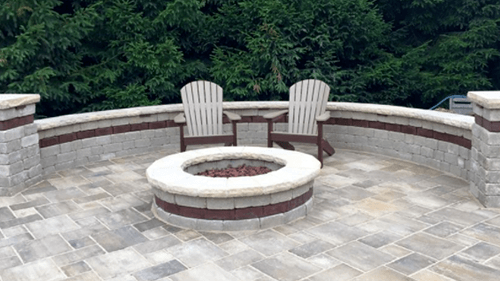 Retention walls can also can also be a functional area for your patio or outdoor living space. They can be used as the background which provides an area with shade or the wind. They can also hold planters and other decorative items to enhance the beauty of your living space. 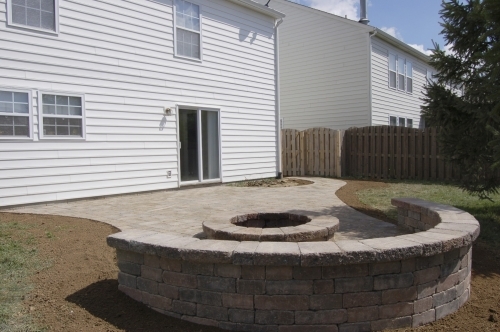 Choosing the right material for your yard or property is very easy. Our designers will help you visualize what the end result will look like by providing you with an electronic view of the outcome. 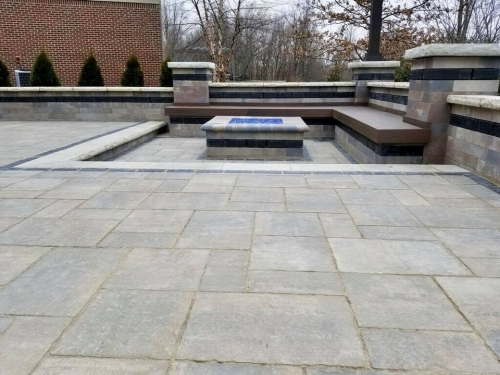 Take into consideration the materials that are used for your house and the existing features that are currently around your Indianapolis property. The materials used for these walls need to be made with a high density material, that is long lasting and durable for all types of weather that occurs in the Indianapolis area. These materials will provide proper landscape retention for your property. There are many types of stone and materials that you can choose from. 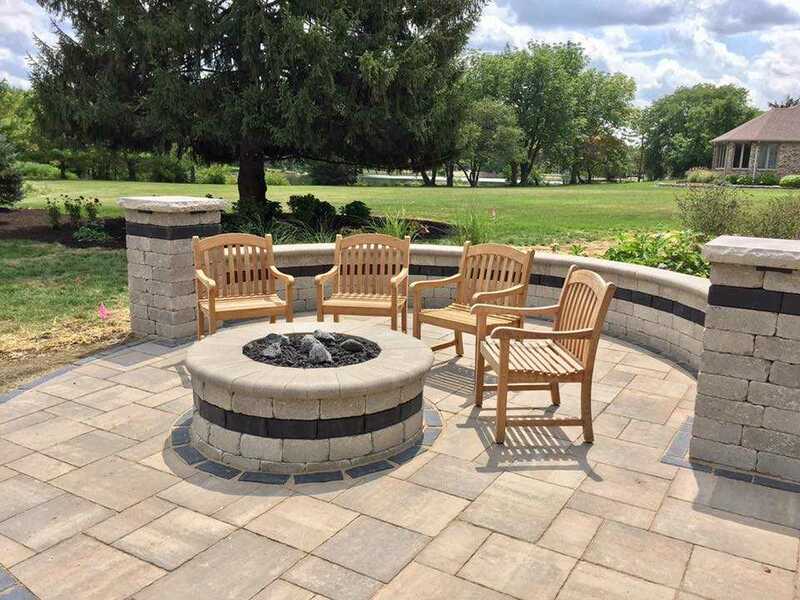 At Country Gardens, we will present you with multiple options that will enhance your yard and also fit in your budget for your Indianapolis Retention Walls. 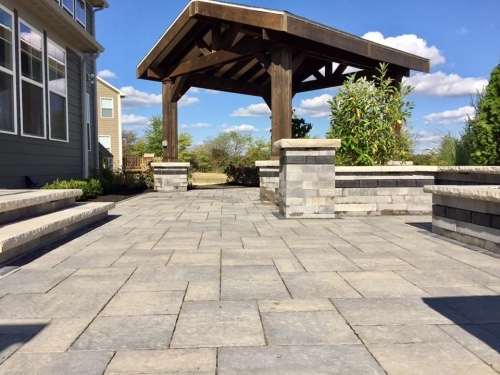 Whether these walls are used for landscape retention or aesthetic enhancement, retention walls can be a great addition to any Indianapolis property. We look forward to working with you on your next Indianapolis Retention Walls. 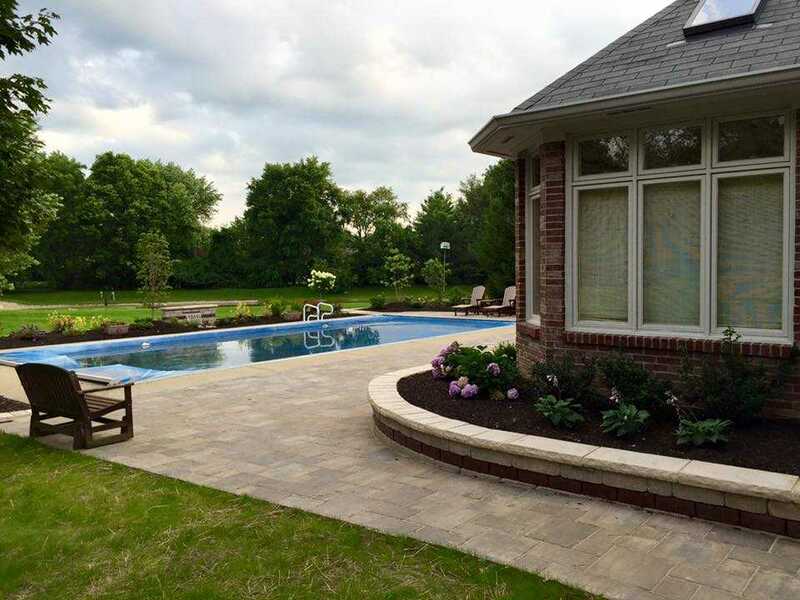 Check out our featured jobs to view our current projects that we have designed and installed around the Indianapolis area.